Ashley Bauer, a native of Warrenton, Missouri, received her first pony at the age of three and began riding and showing horses at age eight, competing in both local and national shows. 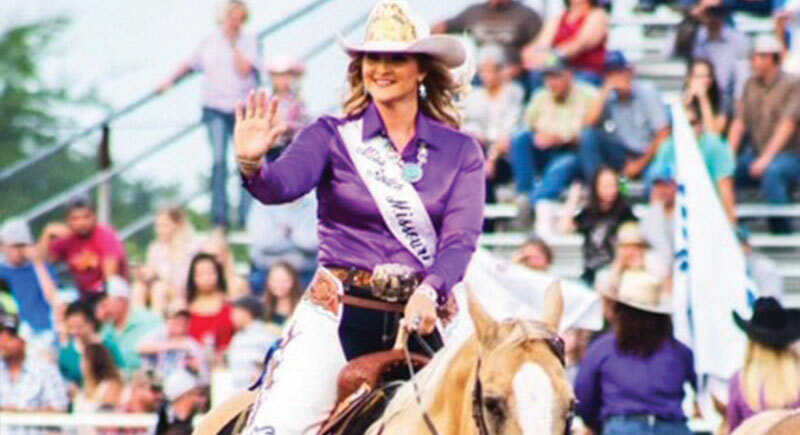 After discovering her love for barrel racing – one of the events typically found at rodeos – she also began running for smaller rodeo queen titles and fair queen titles. She held the Miss Missouri State Fair Queen title in 2013, and, most recently, the Miss Rodeo Missouri title in 2018. Ashley competed in the Miss Rodeo Missouri pageant in September 2017, where she was judged on appearance, personality and horsemanship. She officially received her crown in January 2018. Luxco sponsored her in this role, assisting with travel and lodging expenses, as well as wardrobe. As Miss Rodeo Missouri 2018, Ashley traveled more than 10,000 miles across the United States – from Florida to Wyoming to Colorado to Nevada and more – representing the state of Missouri and the sport of rodeo. From attending community rodeos to visiting schools and nursing homes, Ashley traveled nearly every weekend in 2018 and made more than 100 appearances. She even made a trip to Bardstown, Kentucky, to visit Lux Row Distillers, where she said she immediately felt at home! “Without sponsors like Luxco, there is no way I would have been able to do this,” Ashley said. Unlike many other rodeo queens, Ashley worked fulltime during her tenure as Miss Rodeo Missouri, but, as it is a volunteer position, the expenses add up quickly. Ashley first met Donn and Michele Lux a few years ago when they reached out to Ashley’s father looking to ride horses. Having studied business administration and equine general studies in college, Ashley was the perfect fit to help out. After wrapping up a busy yet incredible year as Miss Rodeo Missouri, Ashley is looking forward to what’s to come.